microfiber instead of directly on the panel, it works fantastic. I have had people stop me and ask what I use to keep my 2002 F350 7.3 looking so great. One person, in a 2017 black truck stopped while I was detailing my truck and said, "I want my black to look like that!" My Replacement for Crystal Mist 5 I was on the look out for a replacement quick detailer for Pinnacle Crystal Mist, which I have used and loved for many years. The only draw back was the price. I contacted McKee's and explained what I was looking for. A quick detailer that I could use as a topper for both Pinnacle Carnuba Wax and McKee's Hydro Blue on a black vehicle in full sunshine. I received a suggestion via email from Nick to try Trademark Extender Spray Wax. At first I thought I should buy a small bottle to see if I even liked it, but after seeing the price per oz. was so much better than Crystal Mist, I just decided to take a leap of faith. SO glad I did! This performs beautifully on my black F350 out in the full Georgia sun! No streaking, it flashes just right, leaving a clear, smooth, slick finish at a fantastic price. Thank you Nick! 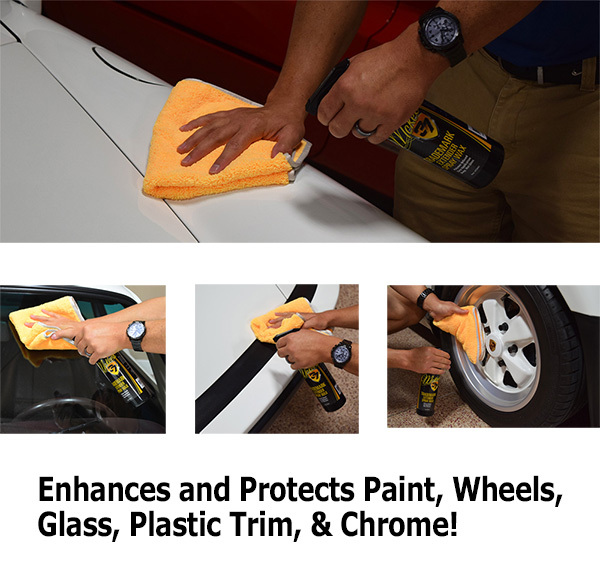 Pros:Great in full sunlight even on black vehicles! Price per ounce when buying the 128 oz jug.